Stephen Collins - STEPHEN COLLINS is political editor of the Sunday Tribune and is a frequent contributor to radio and television programmes on political matters. 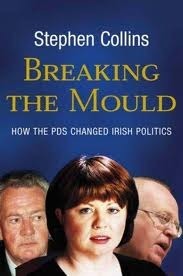 He has written several books, including The Haughey Files and Spring and the Labour Story. His latest book, The Power Game, charting the rise and fall and rise again of the Fianna Fáil party, is a bestseller.